"Did you know that dragons love tacos? They love beef tacos and chicken tacos. 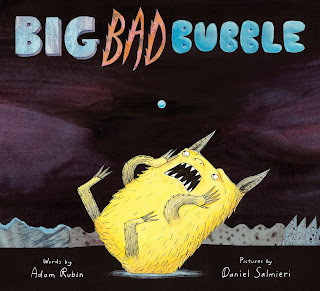 They love really big gigantic tacos and tiny little baby tacos as well." The way to a dragon's heart is through his stomach, or so says Adam Rubin and Daniel Salmieri's sixth picture-book partnership Dragons Love Tacos. 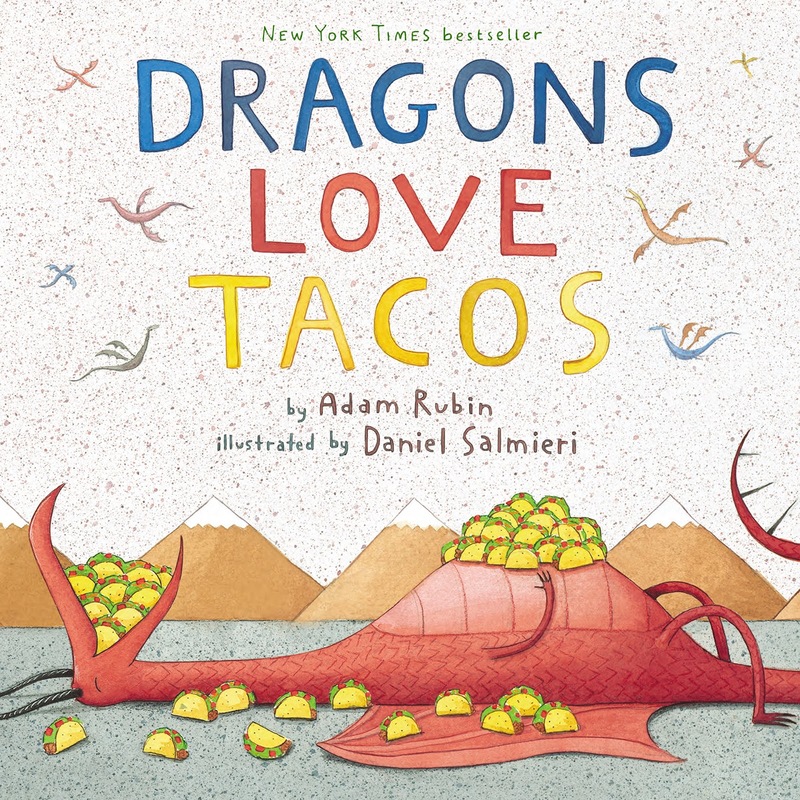 Silly, clever, and fun for kids, readers learn what dragons love (taco parties), what they don't (spicy salsa), and what happens when the two are accidentally mixed. Grumpy Mr. Fookwire meets his match in a batch of mischievous neighborhood squirrels. The squirrels devise a plan to fend off Mr. Fookwire's mean cat, Muffins. The squirrels set out to follow Mr. Fookwire's backyard birds south for the winter. 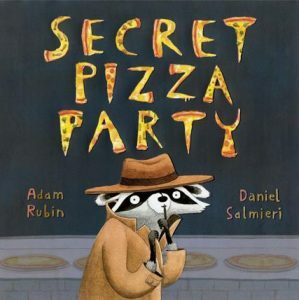 A raccoon loves pizza but doesn't love getting chased away by a broom, so he plans a pizza party of his own. Monsters Wumple, Froofle, and Yerbet learn to face their greatest fear--a big, bad soap bubble.